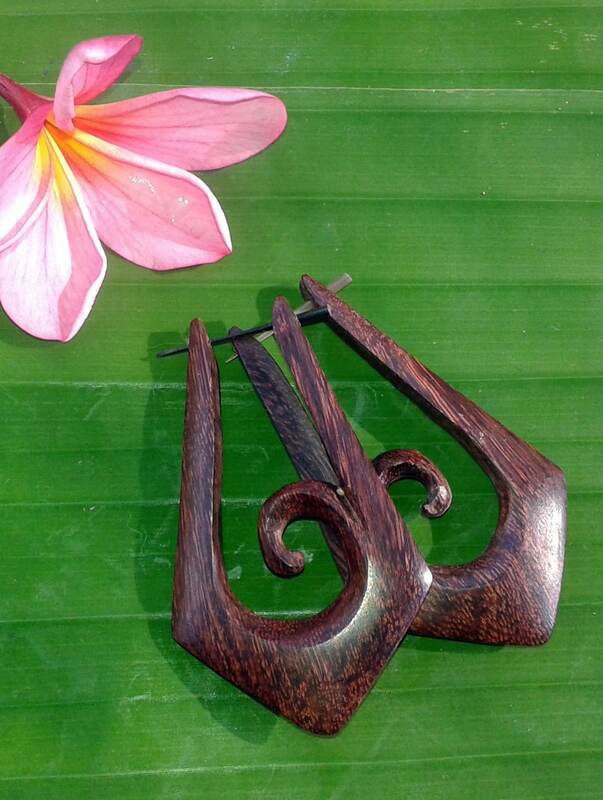 Another beautifully carved unique earring design made for us in Bali. This teardop design features a sculpted wave accent, contrasting curves and angular styling. 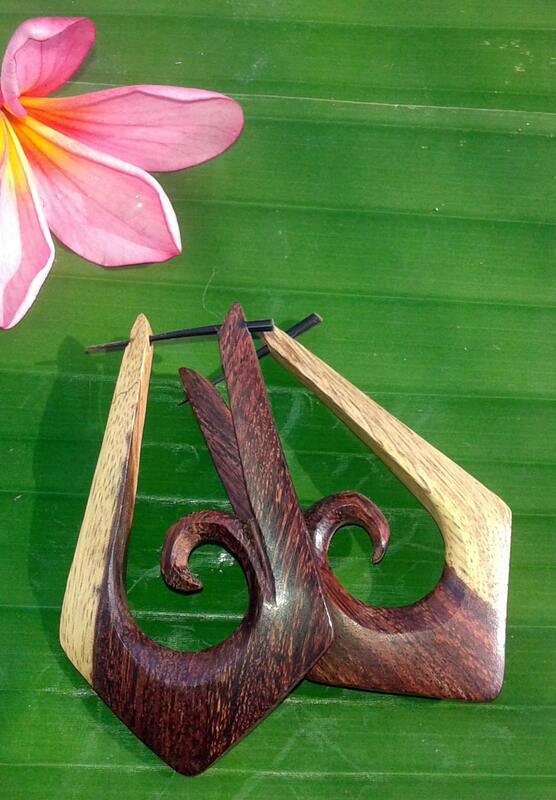 Made of sustainable Tamarind wood featuring a range of warm, rich shades from ebony to ivory.